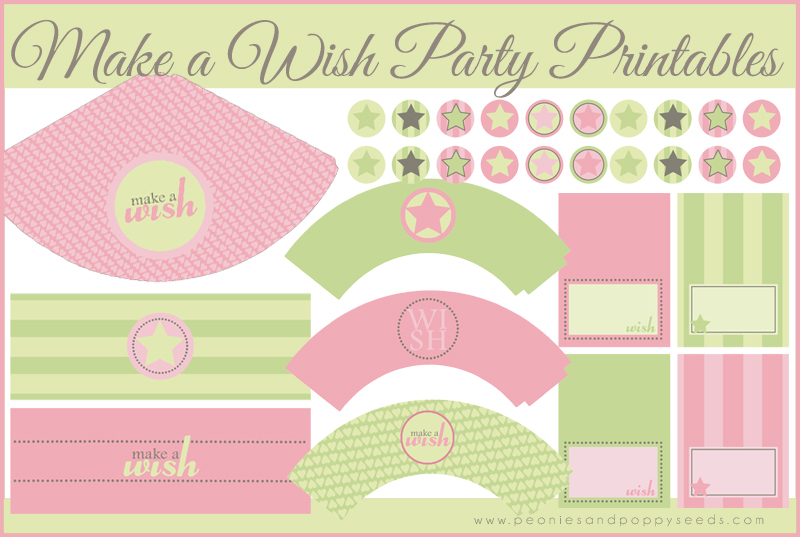 I love the idea of pink and green party printables - they just jive well together, I think. This printable pack features the saying "Make a Wish" and stars. It would be great for a birthday part for any age of girl.